As powerful energy enters our planet and our bodies, shifting the reality around us, there has been a ramping up of negativity released into the collective. As people awaken and realize reality is not what they thought, anger and betrayal run rampant. There is a collective CRaZinEsS going on. It is painful to watch others go through their ‘dark night’ (ego death). For those who have gone through a ‘dark night’ already it will become obvious how it was spiritual boot camp for present times. It was a blessing in disguise, but the real work now is to be an energetic sanctuary for the collective. We hold the energy of greater possibilities by breaking out of the polarity (divisive/conflict) mentality being played out intensely in real time. It is important during these intense times to hold up the sword of truth, but not engage in the battle. Hold up your shield to protect you from the flying energetic shrapnel, but don’t deflect it back onto the collective. Many of us came here to ground neutrality – the consciousness of integrated polarity, or unity. We no longer resonate with taking sides, but have decided there is a better way – to rise above it. 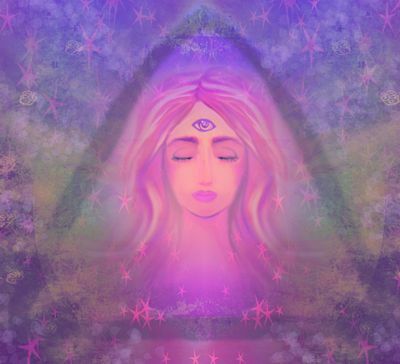 Literally we do this by by engaging with a higher dimension through the third eye (unity/love/joy) and physically we do this by not engaging in ‘normal’ 3D activities and beliefs that we can’t stomach any longer. Those who are playing out the drama in real time are third eye blind. I don’t mean this negatively, but they have chosen to not see the truth (denial) or simply cannot see it (lack of skill). That is a fair choice. I believe this has to do with the wiring of their brain, DNA activation, integrity of spirit, mission and purpose at this time, etc. But the intense light pouring in is revealing the stark lack of integrity of those who take sides – a lack of being integrated with the ‘light’ and ‘dark’ (or other concepts that divide) to a neutral place of peace and understanding. This lack of integrity is becoming increasingly obvious (to the degree of being painful) in areas of life where the collective gives its power away, ie. financial systems, educational systems, media propaganda, politics, religion, professional sports, celebrities, technology, addictions, on and on. Thank you, boy did I need to read this at 68 I thought I was too old to be indigo! I have been thinking I was the crazy one, yes I have had to heal myself, can only now say I am happy to be on this is planet. Hi Kathy! Thanks for your comment. I know! Many say that they were born in the 80s for example, but this may have been simply when more of them were born en masse. There had to be those who were born in previous decades to lay the groundwork for the later influx. These indigos were the “gleams in the gloom.” I believe my grandmother was indigo, and it seemed to skip a generation perhaps or wasn’t fully expressed by my dad. The older indigos had a harder time usually since they were born in the thick of the dense energy. Hugs!